If you need office cleaners for your business in Edinburgh, look no further. We are a competitively priced commercial cleaning firm who have a great reputation. We're well established in Edinburgh with hundreds of happy customers, both commercial and domestic. 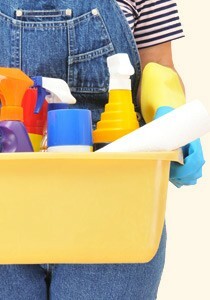 Our cleaners are extremely trustworthy. So that you can be certain, we have background checked all of our Edinburgh cleaning staff and we have records of all references on file. Should you require sight of references, we are able to provide them upon request so get in touch on 0131 513 9073. We are local to the area and so we are familiar with the location of most businesses in Edinburgh due to our time as commercial and office cleaners. We're proud of our reputation and we strive to keep our prices as competitive as we can so that you can benefit from great cleaning without paying through the nose for it. We're available not only for regular commercial cleaning contracts, but we can also cater for one off cleans to offices in the Edinburgh area by experienced and hardworking cleaners. Don't worry, just give us a call and we will be able to talk through your commercial cleaning needs for your Edinburgh business so that you and your staff can work in a clean and safe office environment. We're recommended by all of our customers so why not join in!